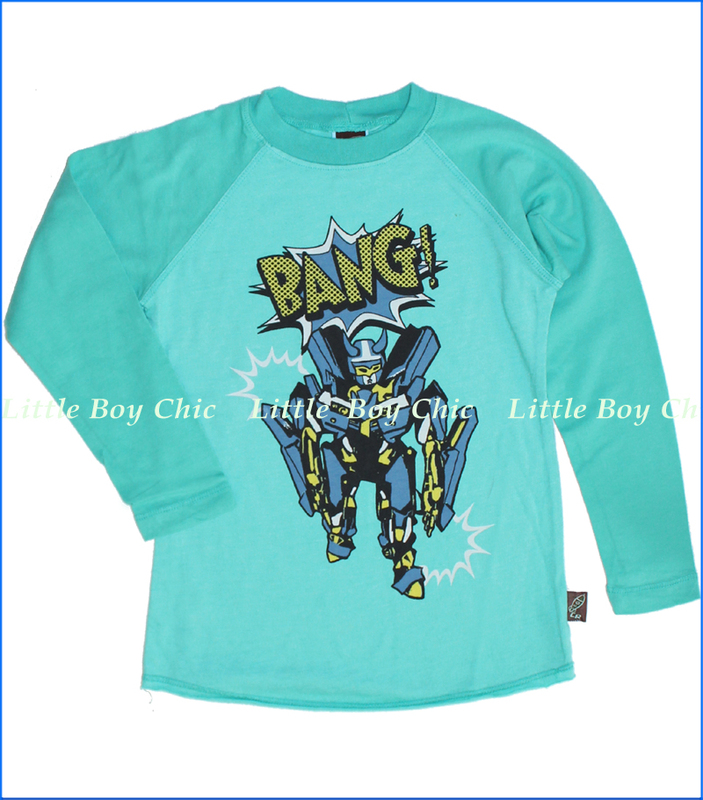 This Transformer tee comes in a bright hue to cheer him up on a school day. Tonal raglan sleeves. Raw edge on hem. Blended fabric is nice and soft. Woven logo label on side seam.